I’m always on the hunt for new ways to get a healthy dinner on the table and fresh flavor combinations to keep things interesting. When a cookbook checks both of these boxes, it earns a special place in my heart. Enter my friend Michelle Tam’s latest release, Ready or Not! : 150+ Make-Ahead, Make-Over, and Make-Now Recipes by Nom Nom Paleo. It’s geared toward all different kinds of meal prep situations — from meals that require some more advanced planning to emergency weeknight dinners. Michelle and her husband Henry Fong literally spent years putting together the materials for this book. If you always wish cookbooks had more photographs, this one not only has glamour shots of each dish, but also helpful step-by-step photos for Every. Single. Recipe. It’s intense! I can’t imagine putting in that amount of work, and it was clearly a labor of love. The layout and design of the Nom Nom Paleo books sets them apart, too. Henry does all of it himself, including adorable cartoon illustrations of Michelle, Henry, and their two sons Big O and Little O. They cheerfully gallivant throughout the pages of the book, which are laid out comic-book-style, and offer cooking tips (these come mostly from Michelle), eye-roll-worthy puns (Henry’s domain), sibling rivalry and other silliness. It’s a fun and whimsical touch that adds one more layer of specialness to this cookbook. Beyond all this wow factor, there’s a logic and ethos behind this cookbook that makes so much sense to me. It’s all in the name — Ready or Not refers to whether you’re ready to go full-on paleo chef, or…not so much. Paleo meals have a reputation for being labor-intensive — at least on the planning end — and this cookbook acknowledges that. For example, the recipes are divided into sections based on your willingness/ability/desire to spend a lot of time in the kitchen. Turn to the “Ready!” section for dishes that require advance prep, “Kinda Ready!” for recipes that rely on pantry staples and leftovers, and “Not Ready!” for fast, emergency meals like quick stir-fries and sheet pan dinners. One of my favorite recipes in this book is the Pot Sticker Stir-Fry from the “Not Ready!” section. It’s exactly what it sounds like — the ingredients that would normally fill up a pot sticker, like mushrooms, pork, and cabbage, but prepared as a stove-top stir fry instead of packed into wrappers. The recipe makes a big batch, and it’s not your typical high-heat wok affair. Since there are tons of ingredients involved in this dish (my 12-inch skillet was barely big enough to hold everything), I ended up with quite a bit of liquid left in the pan at the end of cooking. I didn’t really mind this, though, and used a slotted spoon to scoop the mixture into lettuce cups for a high-protein, veggie filled meal. Michelle’s suggestion of adding a big squirt of sriracha on top is a good one, too. Speaking of sriracha, there is a fantastic recipe for a homemade version in this cookbook. My friend Sheri even went so far as ferment it to get the classic Huy Fong sriracha taste! It was dead-on perfect, and I could’ve eaten it by the spoonful. I’ve made many batches of the Tonnato Sauce, too. It’s a super savory, tuna- and anchovy-based dip. Don’t knock it ’til you try it — it’s an umami flavor bomb, completely addictive with crunchy crudités. Other recipes I’ve enjoyed from the book include Betel Leaf Beef Rolls (a delicious appetizer to satisfy spring roll cravings, minus the grain-based wrapper), Spicy Bacon Honey Nuts (the best thing ever with a cocktail, which is very much not Paleo, but…), and the Tex-Mex Beef and Rice Casserole (a filling dinner that freezes great in individual portions for future meals). Major kudos to Michelle and Henry for producing this incredible cookbook. It’s a fun read that feels like you’re hanging out with the Nom Nom crew themselves. Whether you follow a paleo diet or are just curious, or whether you have tons of time to cook or you’re pressed to get dinner on the table, you’ll find lots of recipes to make and love! Recipe reprinted with permission from Ready or Not! : 150+ Make-Ahead, Make-Over, and Make-Now Recipes by Nom Nom Paleo (Andrews McMeel Publishing, 2017). Copyright © 2017 Michelle Tam & Henry Fong. 1 Cook the vegetables: In a 12-inch (or larger) skillet over medium heat, melt the ghee. Once it’s hot, toss in the carrots, shallots, and mushrooms. 2 Add the ground pork and cook: Add the pork along with another sprinkle of salt, and break up the meat with a spatula or wooden spoon. 3 Transfer the cooked pork with a slotted spoon to another platter. Leave the cooking liquid in the pan. 4 Cook the cabbage: Throw the cabbage into the pan with another sprinkle of salt, and sauté for 3 to 5 minutes or until wilted. 5 Combine everything back in the skillet and season: Lower the heat to medium, and add the ground pork back into the skillet. Stir to combine. 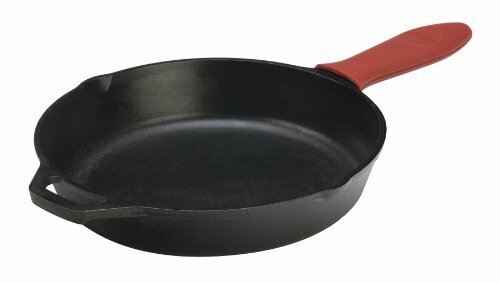 6 Serve and eat: Remove the skillet from the heat. Finish with a drizzle of sesame oil and a generous sprinkle of scallions. Serve the stir-fry on its own, or with butter lettuce to make lettuce cups (i.e. paleo "tacos"!). Hello! All photos and content are copyright protected. Please do not use our photos without prior written permission. If you wish to republish this recipe, please rewrite the recipe in your own unique words and link back to Pot Sticker Stir-Fry + First Look at Nom Nom Paleo’s New Cookbook on Simply Recipes. Thank you! What would be the best way to make this dish vegetarian? Im thinking of leaving out the pork altogether and doubling the veggies. Thoughts? Hi, Ronda! I think that’s a great idea! You might also swap the pork for a mix of chopped mushrooms and crumbled baked tofu (the kind you buy at the store). Let us know how it goes! What do coconut amino add to the recipe? If essential, is there a substitute? Thanks. Hi, Sharon! Coconut aminos are frequently used in Paleo recipes as a substitute for soy sauce (same savory flavor, minus the wheat or soy, which aren’t eaten in the Paleo diet). You can swap in soy sauce or tamari if you prefer! So easy and so good! I have made it three times. The last time I used ground turkey and it was just as good! This was easy and amazing! Unprompted, one my older kids said “tastes like the inside of a pot sticker :-). We’re going to use the leftovers for Udon at breakfast! SO GOOD. My whole family loved it! 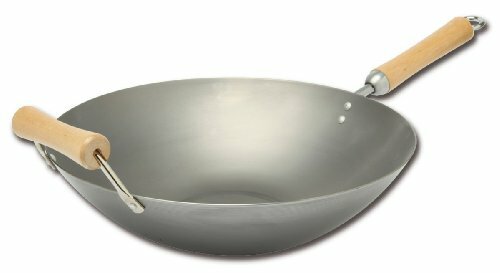 No garlic chives in a pot sticker recipe? And fish sauce and coconut aminos? Looks interesting and I’m definitely going to try the concept, but not with these strange modifications. Can you substitute ground chicken for the pork?? Hi, Rebecca! Emma here, managing editor for Simply Recipes. Sure, I think that ground chicken or turkey would make a fine substitute for the pork. I think the cooking time should be roughly the same. Let us know how it turns out! I cooked in the instant pot and added 32 oz of beef broth and thickened it into a stew with a head of regular diced cabbage . AMAZING! Cooked it as instructions except all done in instant pot and followed the steps as instructed. Saw this recipe the day it was posted, and thought it sounded amazing. Ended up ordering Ready or Not!… a couple days ago. Finally got around to making this dish for dinner tonight and the whole family loved it! Also of note, I’ve been following your blog for years and totally love it too! Thank you! Hooray!!! I’m so glad to hear all this. Enjoy the book! Do you have a suggested substitute for the mushrooms (allergic)? Thanks! Hi kHuck! I think I’d probably just skip them, or add more carrots or ground pork. If you have any leftover grains, like rice or barley, you could throw those in. They’d have a similar chewy texture to the mushrooms. Hope this helps!